When putting together the presentation about this chain for the Folk Horror conference in Belfast last year, some of the preparation for it was to try and anticipate criticisms and potential questions that would be asked afterwards. The key question that I deeply feared at the time was a relatively straightforward one and went something along the lines of “What about Quatermass And The Pit?”; a seemingly simply question that, at least at the time, would have produced a unforgivably long silence as there was simply no answer. In any of its variations, Nigel Kneale’s play simply did not fit in with the strictness of the chain. The 1967 Hammer version of Quatermass did not have any skewed belief systems in parallel with Summerisle or medieval England; if anything they were instead a race memory lying dormant in all of humanity. In total opposition, it did not have a rural setting and was firmly set within a very built up part of London. Whilst it definitely had a manifestation of some form due to some ancient, hidden power, the relationship between its summoning and the previous levels of drama were complex and not simply ritualistic. In other words, Quatermass And The Pit was an enjoyable but at the same time, frustrating spanner in the works. Or was it? For some time now, the ideas of the chain have been critiqued, dismissed and used in a variety of ways. Yet this example in particular was in effect demanding a reappraisal of several of its idea. In many ways, the way of exploring such ideas was to effectively work backwards, if only because Kneale’s play does at least have that typical outcome of most Folk Horror; where the Martian alien, responsible for the majority of our religion, folklore and fascism manifests over London to enact its cull for the survival of the species. This was the desired outcome but what was the dramatic pathway that lead to it? The summoning of this creature was inherent within us as a race memory but also within the explanation of human curiosity. Perhaps curiosity can be fed further into the idea of skewed belief systems in that (like a lot of horror) complete lack of awareness towards potentially dangerous or unnerving elements is a form of skewed belief system in itself; it certainly doesn’t relate to the reality of being confronted with danger. M.R. James especially would make great use of this in a huge number of stories, a warning to the curious indeed. Most importantly, however, is the initial aspect that set off this lack of awareness in which Quatermass‘ urban geography must be contextualised. In order for the chain to work, the landscape must lead to isolation. The initial problem with applying the chain to Quatermass was that the sort of isolation required for Folk Horror seemed theoretically impossible for a film set in central London. After re-watching the film and the television version, as well reading several works on Kneale himself, it seems the answer is relatively straightforward. 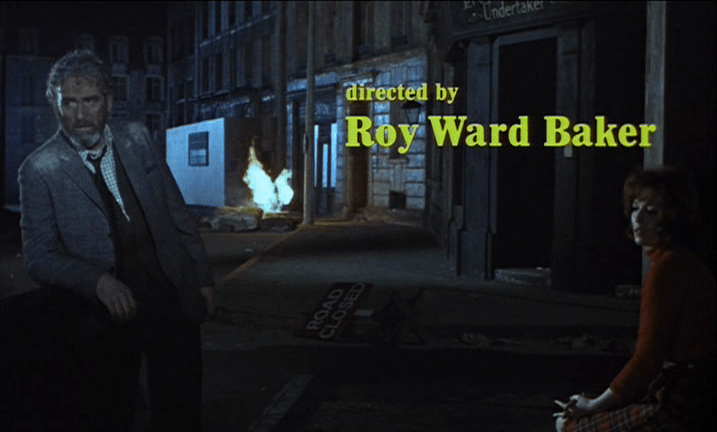 The urban geography of Quatermass is very distinct and specific (though not unique at all). In one of Kim Newman’s various analyses of the film (mentioned in most detail within his excellent BFI book on the film), he suggests that Quatermass And The Pit is more “claustrophobic” than the other Quatermass films. Indeed, Quatermass And The Pit is one of the most isolated and claustrophobic portrayals of London ever put onto film. It is in this act alone where the parallel with the chain is complete. The landscape, if rural, can be vast in order to create social isolation. When the landscape is urban, it retracts and does the opposite to achieve this effect: creating the isolation necessary for some form of skewed system of moral and perhaps even phenomenological belief. Now this strand of thought will be fully addressed in the final article of Folk Horror analysis (which looks at specific ties of this idea to urban occultism) but, for now, the idea of the urban geography creating of sense of isolated claustrophobia is very much a train of thought within several films on the outer periphery of Folk Horror. The most obvious example is Quatermass because it often crops up within the most basic of Folk Horror discussions. Others, however, are perhaps just as deserving as being part of the exegesis on the sub-genre. The most interesting film that springs to mind is Death Line (aka Raw Meat) (1973). 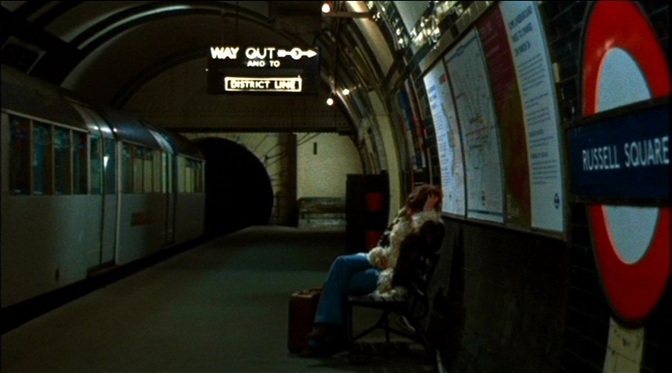 An underrated early 1970s shocker by Gary Sherman, the film follows the abduction of several people on the London Underground (again linking thematically with Quatermass). These abductions are carried out by a rapidly diminishing group of underground, sub-human cannibals who were left down there when the tunnel was initially being built. Whilst no supernatural elements occur, the various outcomes of violent cannibalism and horror still seem very folkloric; as if the narrative could be something a youngster would be told in order to stop them misbehaving on the tube. Survival also seems key to the urban variation of the chain, though it is also a key theme in its rural equivalent. Disturbingly, there is little difference between the inhabitants of Summerisle burning a man to help their crops grow with an undeveloped human kidnapping people to eat from Russell Square; both seem necessary to the individual survival once the moral systems of the people have been skewed enough by the social isolation. There could be a huge backlog of films that can be discussed once this idea is opened out. However, several films that could fit into this idea are most definitely not Folk Horror. Alfred Hitchcock’s Rope (1948) is a great example of this “Urban Wyrd” yet is most definitely not Folk Horror. The characters are entirely isolated within their San Francisco apartment, their morality utterly skewed, their actions derived of some sadistic Ubermensch style ritual with the outcome being their own supposed confirmation of their superiority to their social peers. Even Frenzy (1972) seems slightly built on this element too though it is a digression (along with Michael Powell’s Peeping Tom (1960), Douglas Hickox’s Theatre Of Blood (1973) and a variety of others). The point in question is that these other films are not Folk Horror, but the theorizing can draw a parallel line within the Folk Horror Chain that can help with exploring and discussing the more anomalous, more difficult films that, seemingly of their own accord, seem to appear in discussions of the sub-genre. By aligning Quatermass And The Pit and others within this logical framework, strands of thematic interest within Folk Horror become far more tangible within analysis of the films, as well as overarching themes of British counter-culture horror as a whole. Reblogged this on Folk Horror Revival. Valerie And Her Week Of Wonders (1970) – Duality Through Sound and Vision (Part 3).